Pilot flys without arms, Inspirational young Lady! A 25-year-old woman with no arms has become the first pilot ever to fly a plane using only her feet. Woman Without Arms Flies an Airplane With Her Feet-Truth! 3 users thanked Forum Admin for this useful post. 2 users thanked Forum Admin for this useful post. Please visit the web site of Jessica Cox. It's very hard to believe that all that is real, but it's true. Thank you Jessica! There are a couple of new videos from Jessica Cox. Jessica Cox has no arms, but she flies solo — literally. JESSICA COX , A SPECIAL DYNAMIC LADY ! ΜΙΑ ΙΔΙΑΙΤΕΡΗ ΔΥΝΑΜΙΚΗ ΓΥΝΑΙΚΑ! 17 May 2011: Jessica Cox, who was born in the early 80’s, has become the first woman in history to fly a plane, without arms. Jessica was born with an unexplained birth defect, which resulted in her missing both of her arms. But this never stopped her from doing anything. Jessica’s role model is her mother, and Jessica says ‘my father never shed a tear since I my birth, as he does not consider me to be a victim’. 1. Jessica Cox has One Pilot's License, Two Black Belts, and Zero Arms.. DisaboomLive. Retrieved on 2011-04-09. 2. About Jessica. Right Footed. Retrieved on 2011-04-09. 3. Meet world's first armless pilot Jessica Cox | thetelegraph.com.au. Dailytelegraph.com.au (2008-12-09). Retrieved on 2011-04-09. 4. Woman born with no arms becomes first pilot to fly plane using only feet. Telegraph (2008-12-08). Retrieved on 2011-04-09. 5. 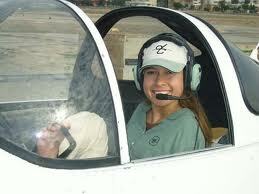 New feat with her feet: Tucsonan, born minus arms, earns pilot’s license – Tucson Citizen Morgue (1992–2009). Tucsoncitizen.com (2008-12-02). Retrieved on 2011-04-09. 6. Messina | Messina. Tucson Weekly. Retrieved on 2011-04-09. 7. Learning to Scuba Dive Regardless of Disability Status | Inclusive Fitness Coalition. Incfit.org (2010-02-03). Retrieved on 2011-04-09.